Hi everyone! 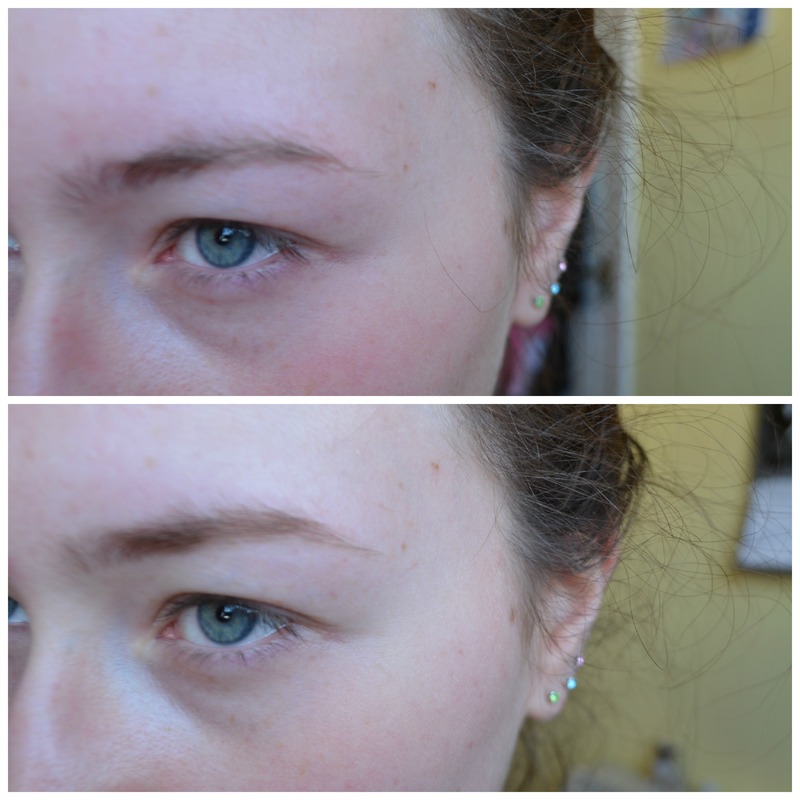 Today I tinted my eyebrows so I thought I would make a post on it I mean, why not? I have used this a couple times and also done my Mums eyebrows with it so I felt like now was a good time. 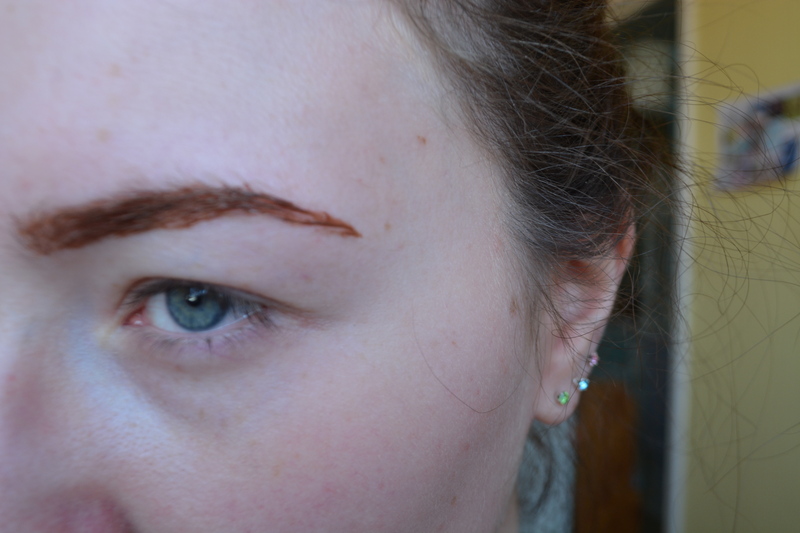 As you all know I do suffer from bald spots in my eyebrows, its a horrible disease that many people are effected by but it can be disguised and tinting those almost white hairs that are the only things that sit in your bald spots is absolutely necessary. It comes with the colour, the activator, a little white stick which I just use to mix it together and a handy dandy spoolie which helps for a quick and easy application. I just use the spoolie to comb it through my brows and then clean up with a cotton bud if necessary. I think I left it for 5 minutes last time which for me wasn’t enough, so this time I left it for 7 minutes before washing it off with a flannel and warm water. It doesn’t really stain your skin so don’t worry to much if your application was a little messy, like mine. Et voila! My brows still look natural but a lot fuller, which is what I am after! And I know its hard to tell in the photo but the tail of my brow is a lot more visible! And I don’t quite know why my face is so red on the first picture but it does kind of make my bald spots harder to make out, which I didn’t notice until now- well done Chloe, well done. The actual colour of them is a lot more of a rich, warm brown rather than a mousey, dirty brown- which is always nice! It also makes it a lot easier when I am colouring my eyebrows in. It lasts for up to 6 weeks which is great as we all know I am super lazy so I can just forget about them for a month and a half! The tint doesn’t really have any smell to it so it won’t make you hesitate before putting it on your face. I think the kit cost me £7 but it will probably last me until near the end of this year so I don’t really mind at all! 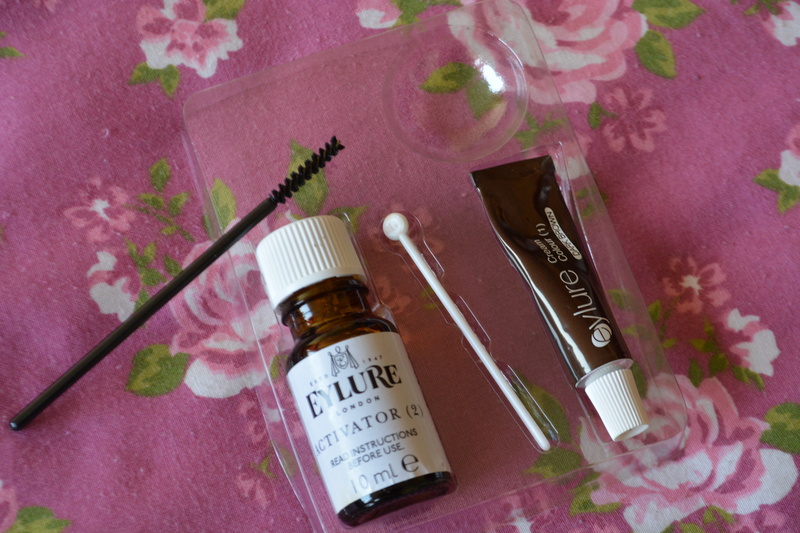 Overall I would definitely buy it again and would recommend it to anyone who is looking for an easy eyebrow tint to do at home! Now- a little explanation as to where I have been the past few weeks.. About 2 weeks ago I had a talk with my boss about college and told her how it makes me feel uncomfortable and I panic and panic about it from Tuesday to Sunday. I also had to tell her about my treatment I am getting and exactly what for and how that is making college even more difficult to attend. Luckily she is very understanding and kind and has offered me part time work, starting this week, while they look for another apprentice, so last week I was in work 5 days, sorting out avon, going to my therapist and still trying to see friends and go to rehearsals, hence the very short post! I was also supposed to have my last therapy session the other day but my scores are still too high so I have to go on another waiting list to see someone who is higher up and can offer me more sessions that are longer too! So everything has been pretty hectic but everything should be back to normal now! If you managed to make it to the end of all my waffling then well done! I hope you all have a great week and take care of yourselves, good bye for now little buns! PSS. What should I call it? My last one was called flump so if you can think of any cute, weird names then I would be super grateful if you left them in the comments below.